The 2010-2011 rain season in Big Sur seems to be over, finally, after a late season June storm. This season we received a total of 32.66” 33.08″ of rain, which is very near the average of the previous three years (32.0”). The rainy season lasted for 8 full well over 8 months, with the first rains arriving on October 6, 2010 and the last rains falling on June 6, June 28, 2011. 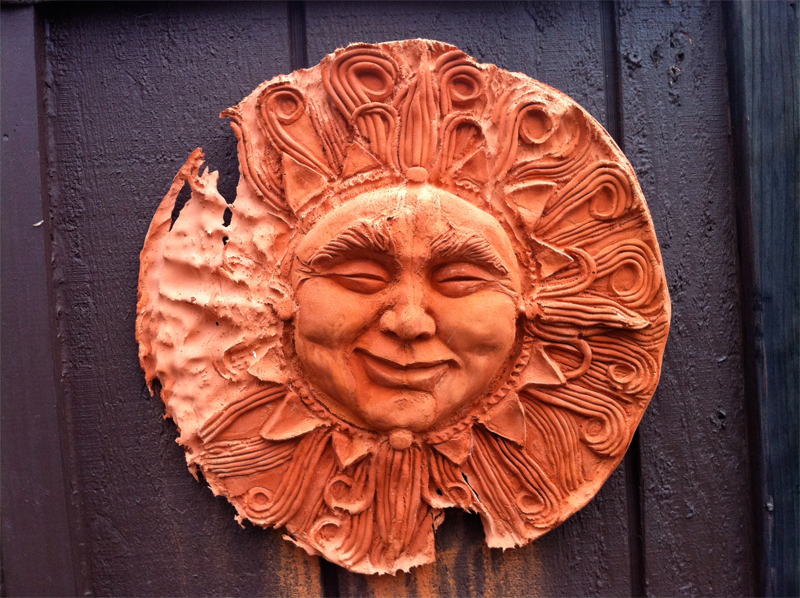 Sun casting on the side of my home in Big Sur being dissolved by acid rain. Photo by Lee Klinger. Rainfall from 36 37 events, totaling 23.04” 23.46″, was measured for pH. The season volume-weighted average pH was 4.66 ± 0.10. This mean pH was lower than the average of the previous seasons (mean volume weighted pH 2007-2010 = 4.78). 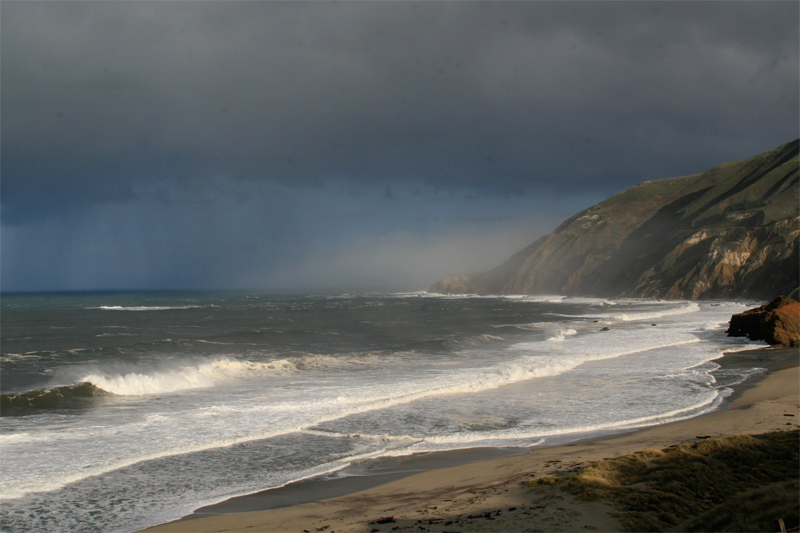 For summaries of previous years see “Acid rain in Big Sur 2009-2010 season summary” and “Acid rain in Big Sur”. Fire mimicry practices, which involve clearing (shrubs and young trees, especially bays), pruning, trunk care, and amending soils with mineral and organic rich fertilizers, are continuing to have a positive effect on sick oaks here in California. Below are some repeat photography results for several coast live oaks in Carmel, Pebble Beach, Santa Barbara that have been treated with fire mimicry for three years. The main caveat is that the oaks in these pictures, while ill, are not severely diseased. The oaks that are severely diseased are not faring as well. Scroll down to see the results. Acid rain falling on Big Sur. Photo by Lee Klinger. It has been an unusually rainy spring here in Big Sur. We received 1.86″ of rain in May and have just had another full on winter storm here in the first week of June. I’ll be summarizing the 2010-2011 rain season data once it is clear the rainy season had ended.